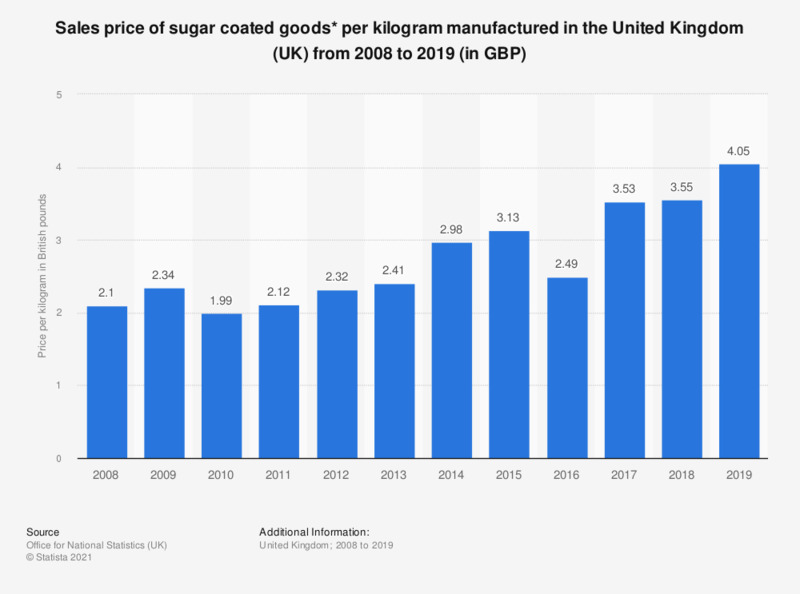 This statistic shows the price per kilogram of sugar coated (panned) goods manufactured in the United Kingdom (UK) from 2008 to 2017. The price of sugar coated goods increased to approximately 2.85 British pounds per kilogram in 2017. * Sugar coated, panned goods including sugar almonds. Would you support or oppose the government introducing a tax on sugary drinks (also known as a Sugar Tax)?